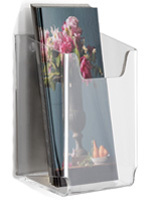 7.25" Width for Displaying Smaller Magazines or Catalogs. 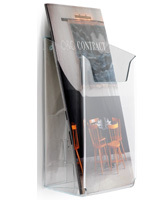 Clear Construction Showcases What is Placed Inside. 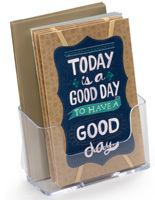 Hang with Provided Tape or Use Customer Hardware & Pre-drilled Holes. 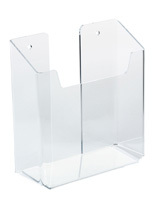 This mounted acrylic flyer rack for offices measures 7.25” wide and 7” tall to easily house small catalogs, magazines, or larger brochures. 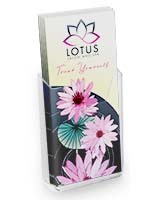 The literature displays are clear and so blend in with any type of setting and also show off the graphics placed inside. 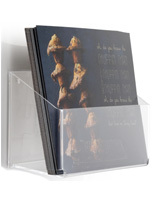 The flyer rack with deep pocket means that more information can be placed in the literature displays so that it will not need to be refilled as often. 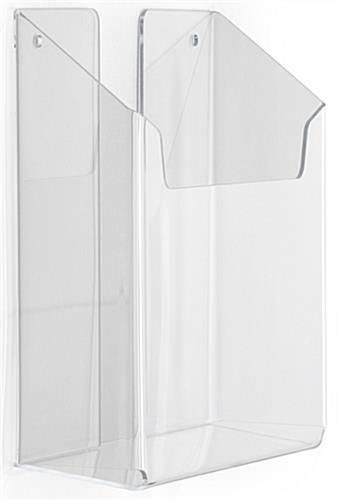 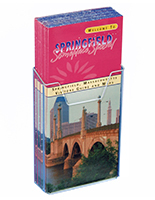 The magazine pocket is made of durable plastic and will hold up in busy offices or retail locations. 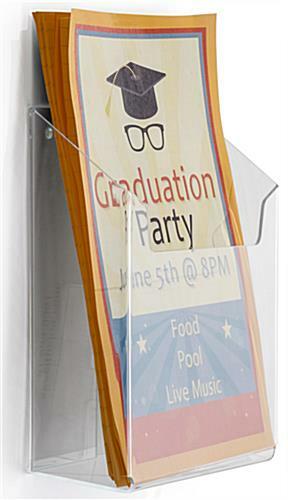 The rack has pre-drilled holes that are able to be used for hanging with customer provided hardware. 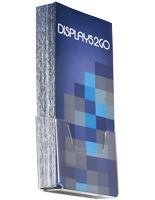 The plastic literature displays are also sold with mounting tape for a choice of mounting options.